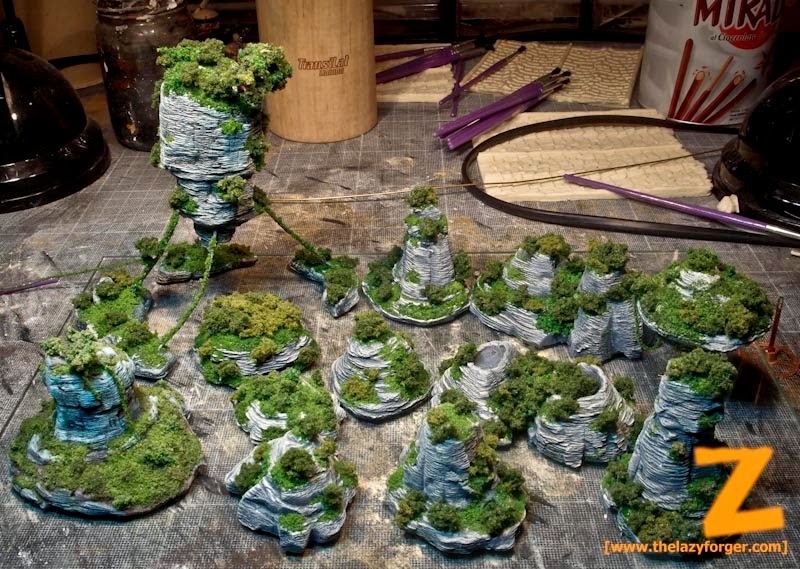 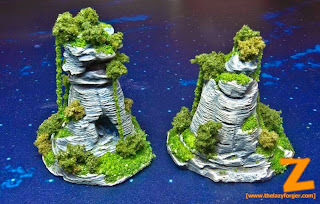 Preparing for MilanoWargames 2014 I decided to build some scenery for my Iron Clouds game. 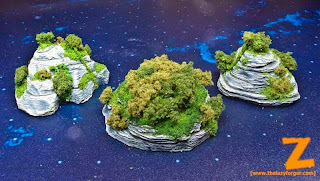 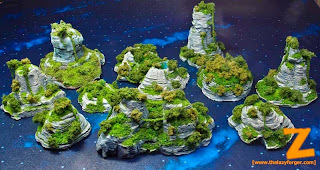 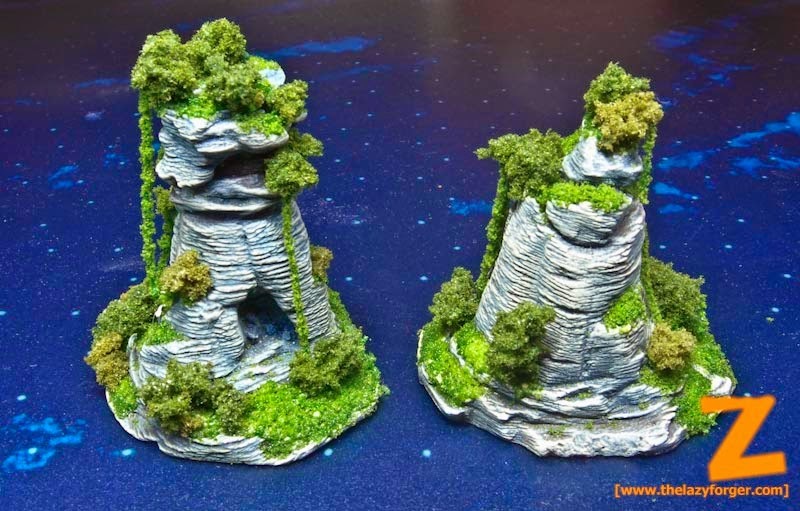 Using the technique described in the tutorial on my website, i built some small and medium islands, to be used on the Iron Clouds tables during the event. 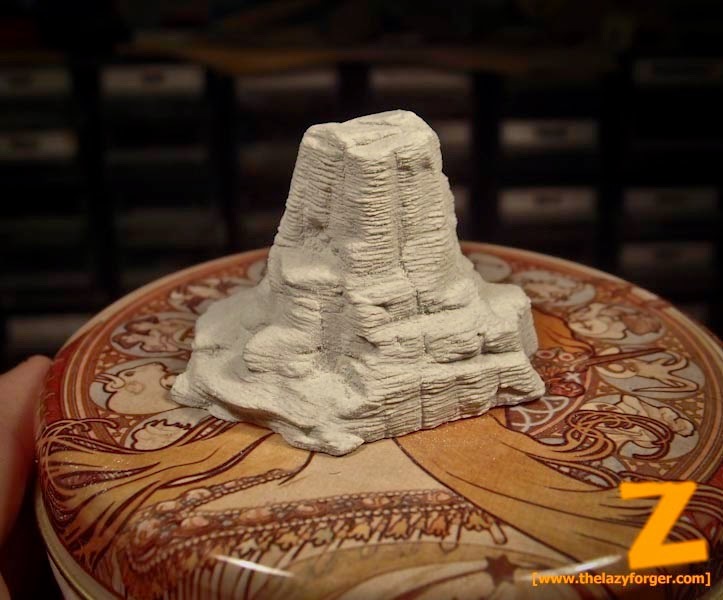 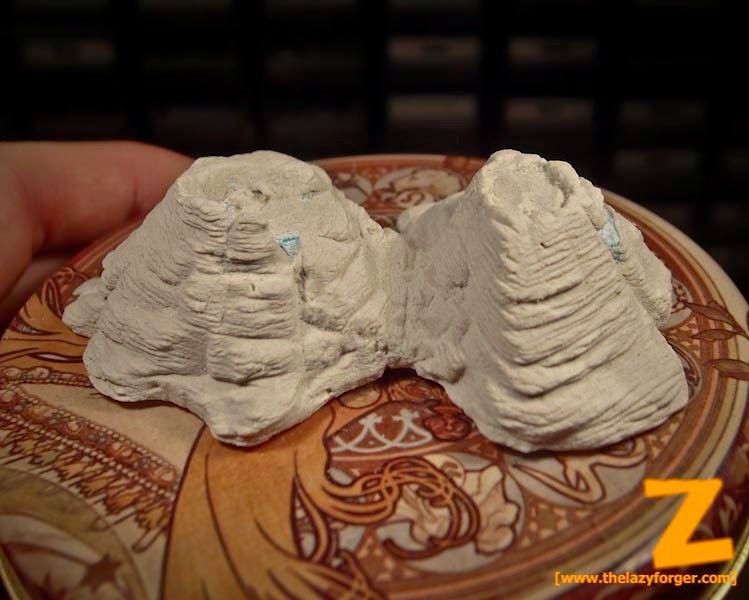 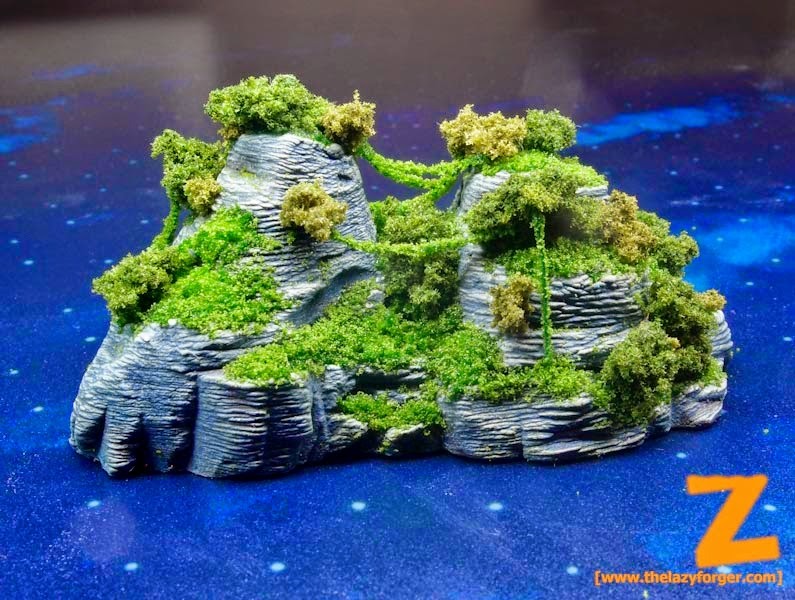 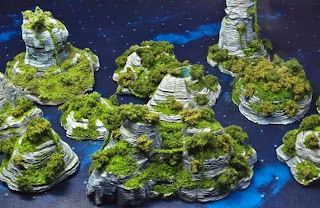 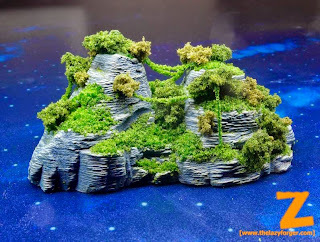 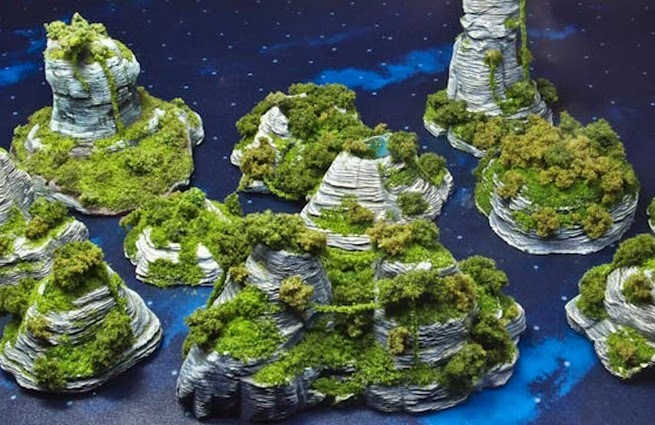 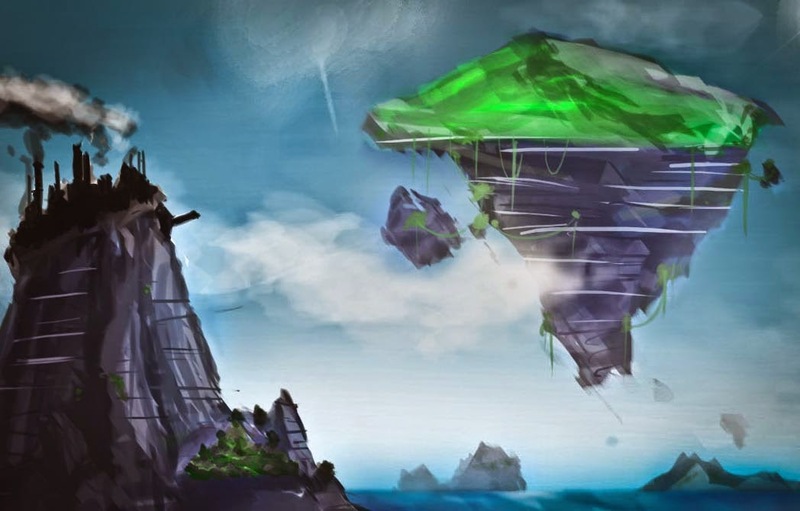 The unpainted islands looked already quite promising, highly detailed. 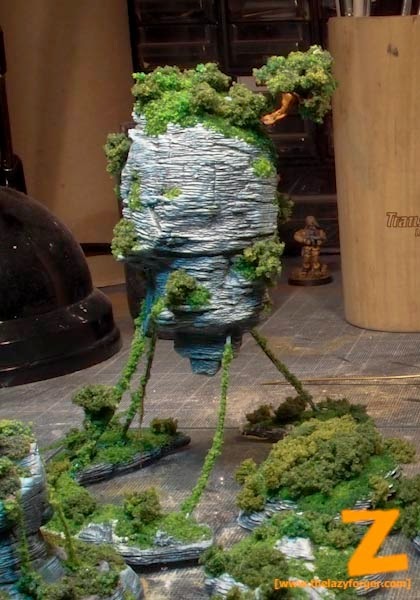 I used a fairly simple painting technique, adding flocks and thin copper wires covered in static grass to add some depht to the vegetation layers. 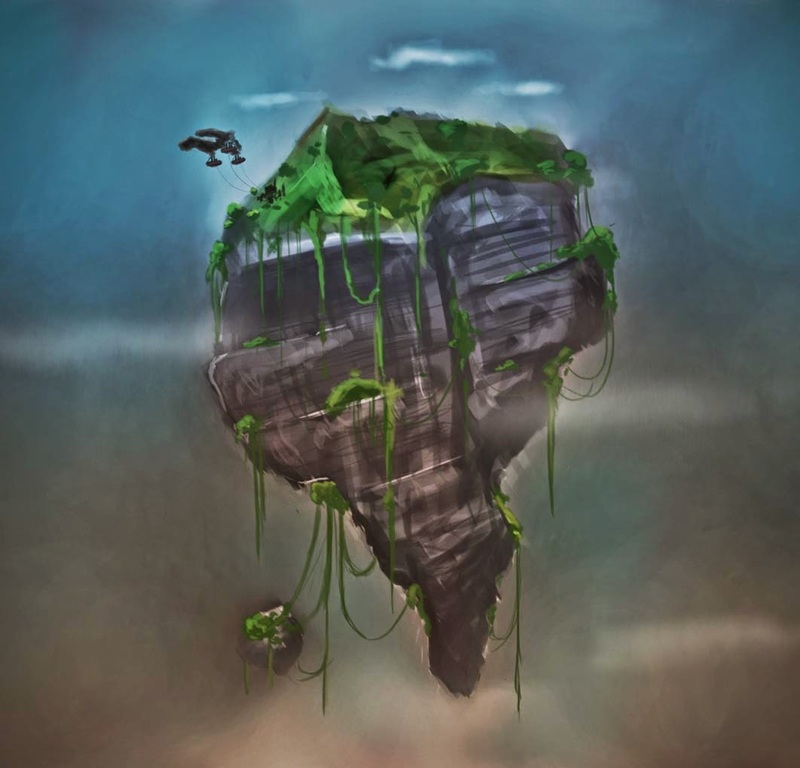 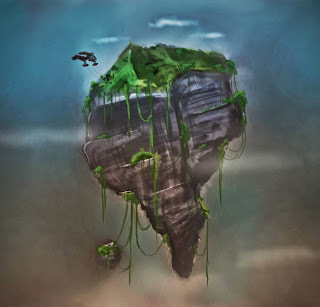 And, in conclusion, a couple of pictures i've drawn to get a better feeling about the islands, expecially the flying ones.